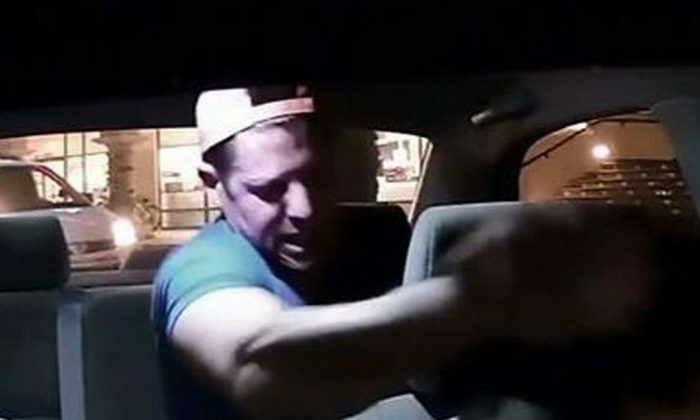 A Taco Bell executive was fired for allegedly assaulting an Uber driver, an encounter that was captured on video. The executive was identified as Benjamin Golden, 32. He allegedly assaulted the driver in Costa Mesa, California, reported the Los Angeles Times. Golden was taken into custody and booked on misdemeanor charges of public intoxication and assaulting a taxi driver, Costa Mesa police Sgt. Jerry Souza told the Times. Taco Bell Corp. said Golden was a marketing manager for the Irvine-based firm. A statement from Taco Bell said he was fired from his job. “Given the behavior of the individual, it is clear he can no longer work for us. We have also offered and encouraged him to seek professional help,” the company stated. Golden was arrested near a Costa Mesa shopping center, where his driver parked to kick him out of the vehicle. Driver Edward Caban told officers that Golden reportedly hit him and pulled on his hair. The driver responded with pepper spray. He shared the video with the police. According to CBS News, Caban, 23, decided to stop driving for Uber due to concerns for his own safety. In the latest instalment of Uber versus the taxi industry, the Taxi Industry Forum of WA has conceded the sector could have done better. Uber price surging might just operate in an opposite world, where the law of supply and demand is turned upside down.